Now I love Wall Street, it is one of my favorite Oliver Stone films hands down, but I was very skeptical that a sequel would be worth a damn. 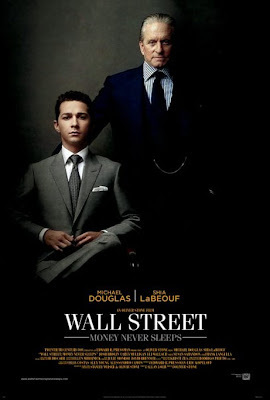 It helps that Stone hired Shia LaBeouf to play the young Wall Street trader Jacob Moore who aligns with Gordon Gekko played once again by Michael Douglas. I couldn't help but get real excited seeing the return of Gekko and one of my favorite Michael Douglas roles in the trailer. Consider me very intrigued to see the film on screen come release day. "Wall Street: Money Never Sleeps" is slated to hit theaters April 23rd.